This and That Blog - Page 65 of 69 - London lifestyle, food and travel blog. Happy Monday you lovely people, how did the weekend treat you? Well, I hope! I for one made the most of the rubbish weather yesterday and planted myself on the sofa with a good book and my laptop. I was totally winning at life! 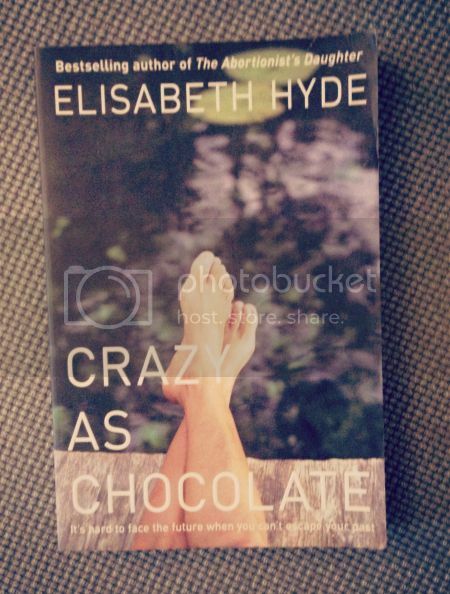 Today I thought I’d hang out in the book corner for a while and share a bookish tag with you! It’s been a while since I nattered about all things books, hooray! 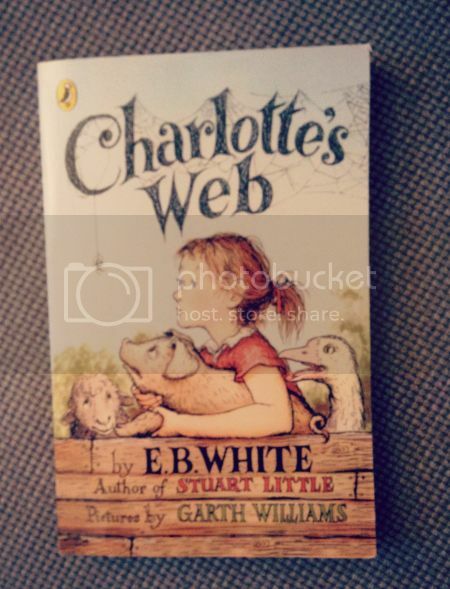 I know Lau waffled on about her Good Reads challenge recently but the following book tag over on The Book Journal was too good an opportunity to pass up as it allowed me to think about all my favourite books and my bookish life in general! Enjoy the below and let me know if you have a go at your own bookish survey. I’d love to read them. Drink of choice whilst reading: Anything really, it really depends where I am… On a beach it’s all about ice-cold water, snuggled up on the sofa in winter it’s a hot chocolate with marshmallows or if I’m chilling out in Starbucks it’s a latte or a Starbucks festive drink. Fictional character you probably would have actually dated in high school: I’d like to think Ron Weasley! Glad you gave this book a chance: Game of Thrones by George R. R. Martin. I wasn’t going to bother reading this series as I’ve watched the TV show but I was convinced by Lau that the books were better than the TV show and she was right – I can’t wait to get reading book #4 in the series. 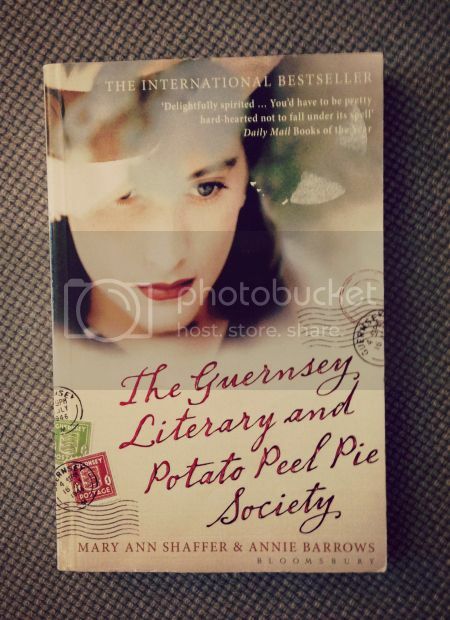 Hidden gem of a book: The Guernsey Literary and Potato Peel Pie Society by Mary Ann Shaffer and Annie Barrows. This book is such a glorious and charming book, which delves into the lives of the people of Guernsey during the war. Definitely a must read. 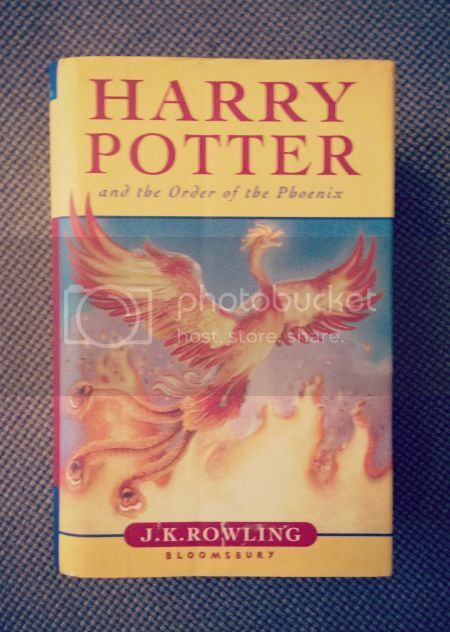 Important moment in your reading life: Discovering Harry Potter and the Philosopher’s Stone as a teenager and realising that ‘kid’s’ books don’t have to be just for kids. In fact they shouldn’t be just for kids. 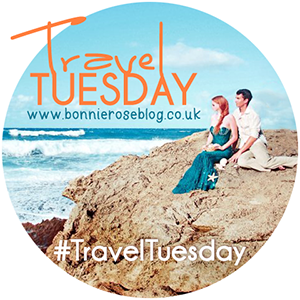 Why should adults miss out on epic stories, loyal friends and amazing worlds? Just finished: If I Stay by Gayle Forman. This book didn’t grab me straightaway but I’m very glad I persevered as it was a great read and I can’t stop thinking about what I would do in the situation. Kinds of books you won’t read: Horror books. Sorry, I just don’t get them and I don’t feel the need to be scared. Also misery memoirs. Not enjoyable at all. Longest book you’ve ever read: One of the Game of Thrones books I’d assume. Major book hangover because of: Wonder as I can’t stop thinking about just how perfect it is and what wonderful sentiments it expresses without being too annoying about it. One book you’ve read multiple times: Just one! But how to choose between all the Harry Potter series, Charlotte’s Web, Persuasion, The Hunger Games, Matilda...? Fine I’ll go for Anne Frank’s Diary if I must. Such a wonderful book and one that every child should read. Preferred place to read: Lazing on the sofa under a patchwork quilt. Quote that you like from a book you’ve read: there are so many quotes I could use, but I’ll stick with this one as it’s just perfect. Reading regret: waiting so long to read any of Jane Austen’s work. For some reason I had it in my head that I would hate these ‘school texts’. I could not have been more wrong as I discovered when I read all six books about 10 years ago. It turns out I LOVE Persuasion and it’s now one of my favourite books. Series you’ve started and need to finish: Vampire Academy, Game of Thrones and The Chronicles of Narnia. 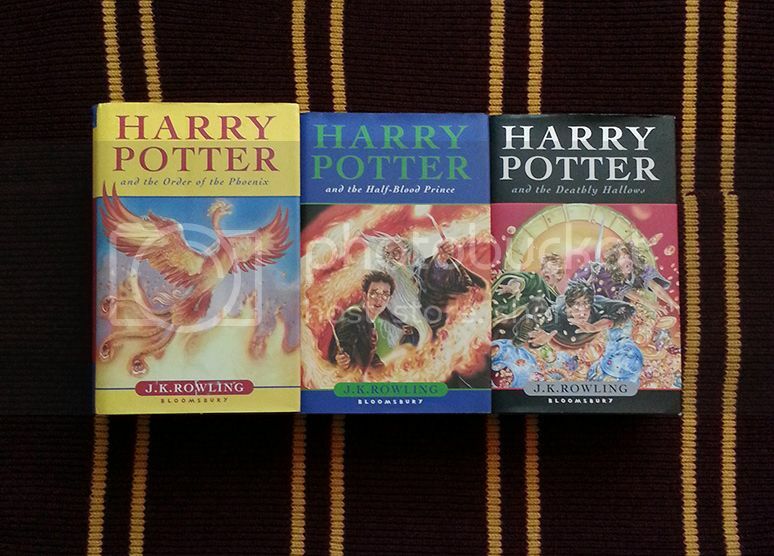 Unapologetic fangirl over: The Harry Potter series. I’ll always be proud to be a Potterhead. Always. Very excited for this release more than others: The upcoming Leaving Time from Jodi Picoult which is out this week – eek! Worst bookish habits: Buying too many books. I have about 100 books on my to be read pile…eek! 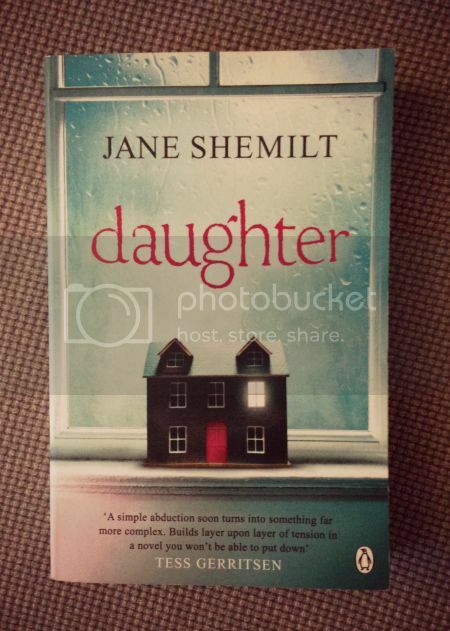 Zzzz-snatcher book – last book that kept you up WAY too late – Daughter by Jane Shemilt. I had to finish the last 200 pages one Sunday evening. I think I finally finished it around 1am. It was totally worth it though! So what do you think, any cross overs with your book tag list? If you’re a bookish person do check out my Good Reads profile and my 2014 challenge and do friend me. I love seeing what others are reading, after all I really need to add to my TBR pile! 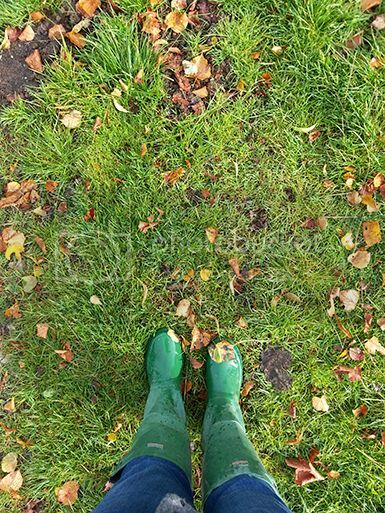 Fully embracing Autumn – yes I might have been nattering about Autumn having started in September but let’s be honest October was the true start of Autumn and I’ve been getting stuck in big time. There’s been countryside walks, lots of warming drinks, stamping in mud, butternut squash to roast and sofa snuggling with patchwork quilts. There’s still lots of Autumnal things to do though – bake Halloween biscuits, log fires, bonfire parties and so so much more. I can’t wait! Embracing Autumn big time today and making an epic butternut squash pasta. All sorts of delicious! 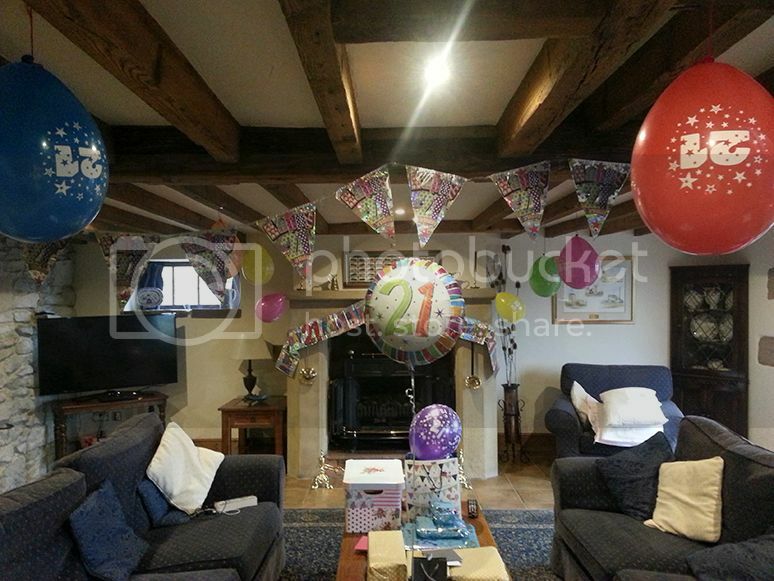 Celebrating birthday’s (old and young – but both HUGE important ones) – Bex is now 21 and we had an amazing time celebrating in the Peaks, plus she needed embarrassing on multiple social media platforms (I love the pic on the top right below). Oh and The Hummingbird Bakery made the most epic cake. Talk about scrumptious. I think I always knew you were a keeper @beccaevans93! Have an awesome 21st you’re the BEST. The parents also celebrated their birthday in October with an awesome party, which was even better than I expected it to be. It really reminded me how epic my family and our friends are and it was great to catch up with lovely old friends, some who I hadn’t seen for 15 years or so. 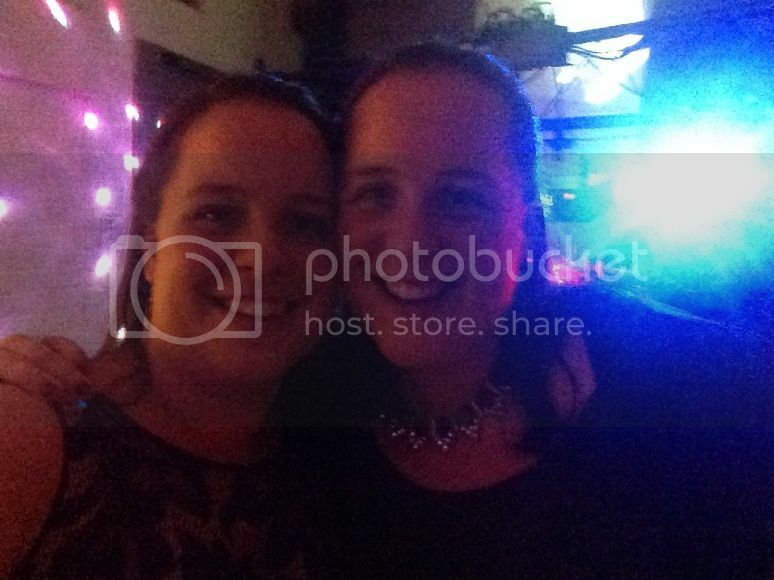 The night was full or nattering, good food, lovely people and A LOT of dancing. Amazing. Oh and we absolutely nailed our speech – winning! 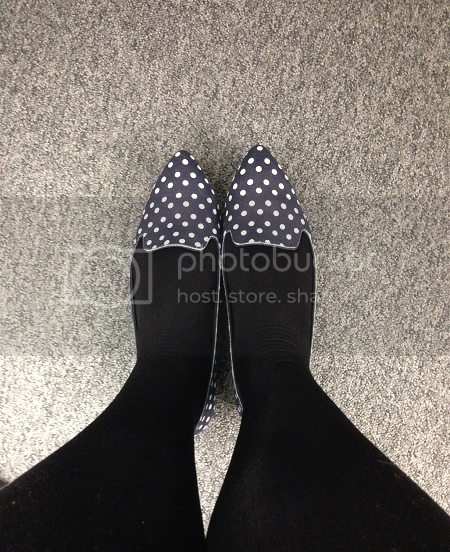 Spotty shoes – Gap have done it again with these shoes that I nabbed in the sale. They are super comfy, look lovely and go with all the things. Well done Gap. Playing London tour guide – It’s no secret that I adore the wonderful city I live in, so getting to play tour guide around the sites of London is one of my favourite things. Just last week I got to do just this with The Mothership and my Auntie Liz who came up for the day. 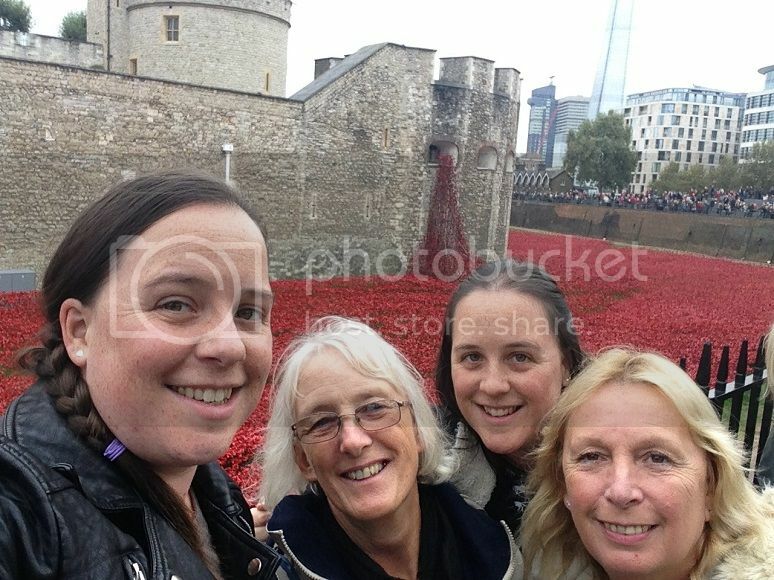 We saw the London Eye, Big Ben and Westminster, Whitehall and Downing Street, went on a River Cruise and saw the beautiful poppies within the Tower of London’s moat. Have you seen them yet? They are absolutely stunning and the sentiment is absolutely wonderful. You must visit them. 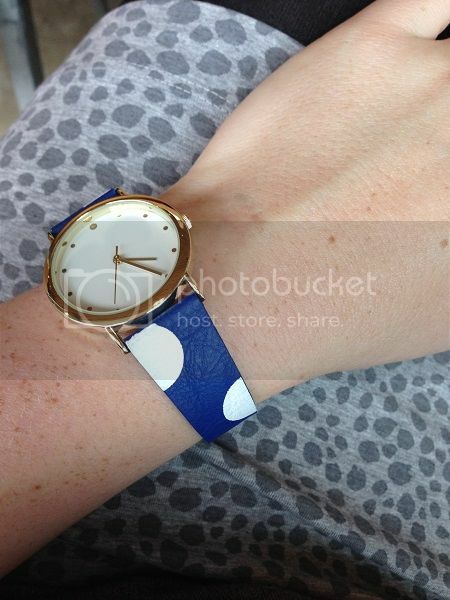 Treating myself – to little things, like a £4 watch in the Asos sale, and bigger things too – my brand new Jawbone Up24. Sometimes you need to remind yourself why you do your job. To enjoy life and treat yourself to stuff you want rather than just need. Getting excited for Christmas – yes I know it’s two months away but it’s never too soon to start planning and preparing for the greatest time of the year. I’ve started to think about the cards I’ll make this year and I’ve started a list of presents to buy other people. The Christmas jumpers are now out and the reindeer pjs are being worn. Plus I’ve got Christmas bedding from Primark which is on the bed and I love. So no, it’s never too soon for Christmas – I don’t care what the Scrooges out there say. 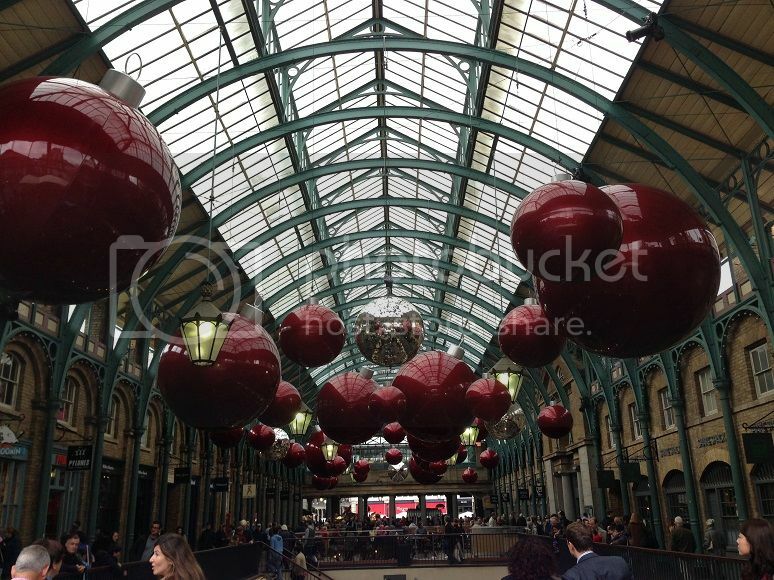 And if Covent Garden have their GIANT Christmas balls up then it really must be Christmas – right? 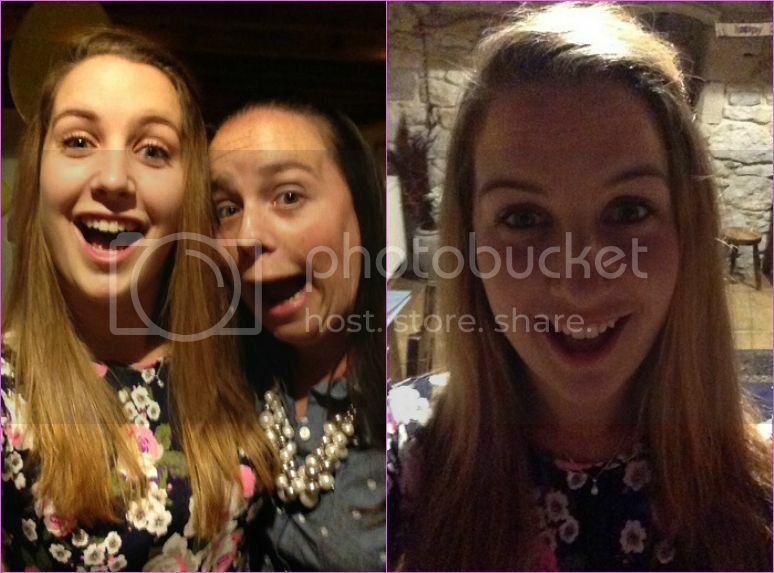 Funny Family selfies – When there’s a family gathering you can bet the family selfies will occur. And this month was no different. Love them! Running – I’ve been saying for ages that I will get back into running and this month I’ve been able to. I’ve had more willpower, mainly due to the race I had at the end of the month. I’ve also been reading a brilliant book, Running Like a Girl, which may have had me sobbing on the tube with emotion but was also a brilliant read and reminded me the joy that achieving something at running can bring. So maybe that’s helped, but whatever the reason I’ve loved getting out to pound the pavements and I’ve begun to enjoy running again. I’d forgotten how nice it is to feel yourself getting fitter and knowing you can make it to the next mile. Lovely family – I love that I can go without seeing family members for years and then I see them and it’s like no time has passed at all. That’s what it’s been like this past few weeks with my Auntie Liz, who I’ve not seen for two years. It’s been lovely to just pick up where we left off and to be nattering away over cake like it’s something we do every week. What bliss! It was also the same last weekend when we visited my Mum’s auntie who I haven’t seen for a good six years or so. It was just the same as it’s always been and I’m reminded of how lovely and wonderful she is. I really need to ensure time doesn’t go by so fast and that I see them both more often. So what have you been up to over the last month and what have you been truly happy and thankful for? Let me know in the comments below. 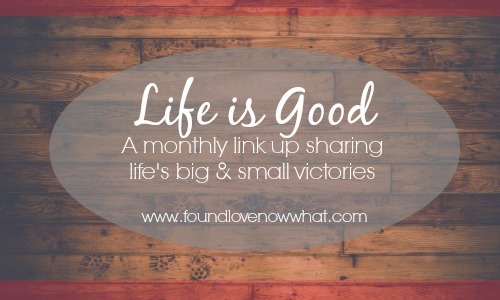 Oh and make sure you hop on over to Belinda’s blog to see all the other lovely people linking up for the Life is Good link up. I’m not sure if you know it but it’s been a while since either of us have taken part in an organised running event, we did at least 3 events last year. But this year we are only at 2. 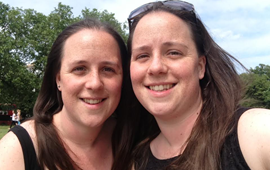 The last one we both took part in was the London BUPA 10k back in May. We’ve both been talking about signing up to a race for sometime but have both been pretty useless about getting organised. 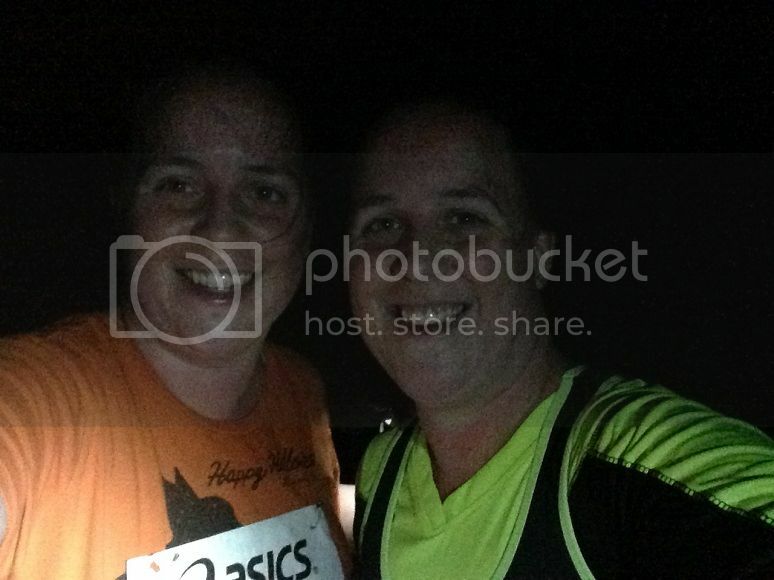 That is until I received an email into my inbox on Oct 17th from AAT Events about their next organised run – The Night Fright 8.5km. I immediately sent this onto both Fi and my Dad and they were totally up for it too. Yippee for that! The event itself was billed as a night run through the Chantries woodlands in Surrey with fancy dress and spooks on route. So head torches and Halloween accessories were found and one week later we were at the start line race. We started off at 6pm so it was still slightly light as we headed into the woods, but dusk soon settled in and we were running in darkness. Now I run at night a lot in London, but London running and woodland running is totally different. It was quite tricky to see where I was going and I’m actually surprised I didn’t fall over. There was lots of tripping over tree roots and sinking into mud as the light from the head torches was just not bright enough. Plus I was having to move my head in different directions depending on what I wanted to see; down to see my feet and avoid roots and mud or up and ahead to see the route. It’s surprisingly tricky doing this and it actually takes a lot of concentration. And actually you may see a tree root, but you’ve got absolutely no way of knowing how far off the ground it is. I’ve not walked or run the Chantries before which is ridiculous as they are so close to where I grew up so it was great to explore a little bit. I’m definitely going to head back again for some walks in the daylight as I’m pretty sure there’s some stunning views. At one point we climbed a mahoosive hill – 15 minutes of climbing at 1:4 (walking, not running) – which was incredibly painful but at the top we had a lovely view of (what I think was) Shere, all lit up. In all honesty I wasn’t entirely impressed with the organisation of the event, which is surprising as the Surrey Half back in March was organised by the same group and was perfect. But in this race there were a couple of issue. To start with the electronic timing seemed non-existent – we didn’t have chips attached to us at all so I don’t know how they were able to produce our finish times. But the worst thing, in my mind, was the lack of race marshals at important points. There seemed to be plenty of people at the start and finish, but no one in the middle of the race, we we got a little lost at one point as the arrows directing us were so hard to find in the dark. They were black arrows on neon yellow backgrounds, but when you’re in the depths of the wood with only a headlight to guide you it was incredibly hard to see them. Yes, some may have had a glowstick stuck to them, but actually these weren’t entirely useful. I think aside from these little glitches it was a fun race to do. I have my time for this 8.5k as 80 minutes. At first I thought this was incredibly slow, but once I reminded myself of the 15 minutes hill climb, the sand paths and the lack of marshals in the darkness I realise how well I did. If I had known it was going to be as tough as it was I probably wouldn’t have signed up, which would have been a shame as it was a great night and tremendous fun. And I certainly earned my Chinese food at the end of it! Reading… I gave up on Will Grayson, Will Grayson and instead I’ve immersed myself in The Hit by David Baldacci. I will go back to WG, WG but I’m just not in the mood for it right now. 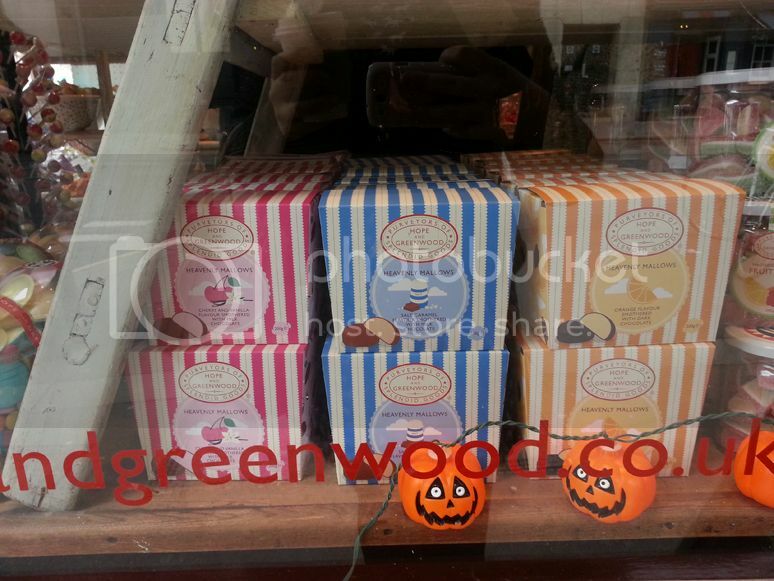 Coveting… all the sweets in Hope and Greenwood (see pic above). Learning… To run again. It’s been too long since I’ve pushed myself in terms of running. I’ve been sticking to my normal pace and distance for too long, so now I’m getting out of my comfort zone again and going that little bit further, or faster (or both). Making… I’ve got knitting plans at the moment. I’m not sure what I’m actually going to knit, but something will be made. 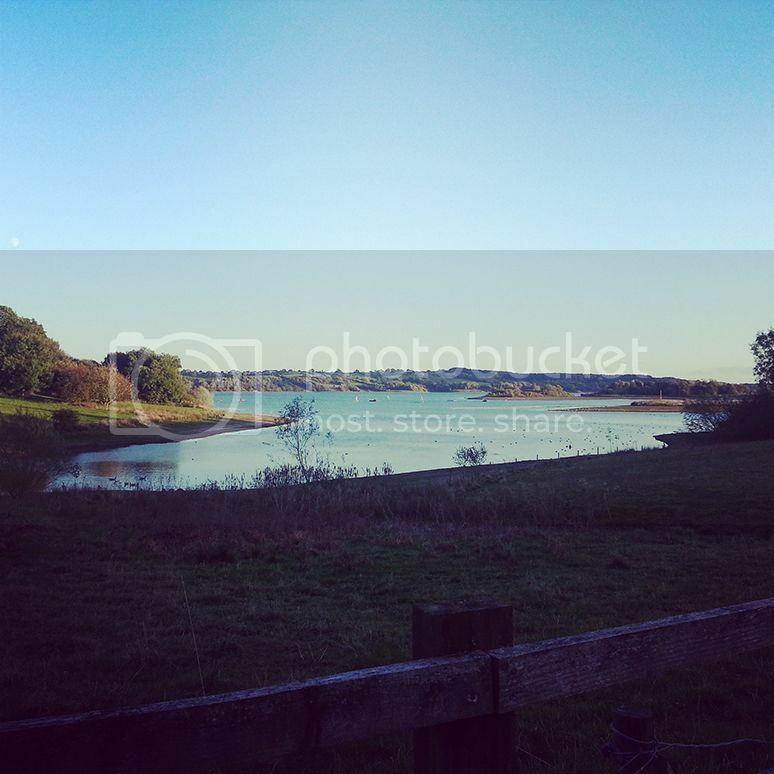 Planning… Weekends away in November. Christmas meals and ice skating fun for December. Cooking… Blondies, pasta bakes and mug cakes. Looking… For the perfect winter coat. Playing… In the Autumn leaves in the park. Deciding… To enjoy the little things and not stress the big things. Wishing… Certain things would/could happen sooner. Enjoying… Family time. Alone time. Sofa days. Waiting… For all the things to happen. For Winter to come. For people to make up their minds. Watching… All the US TV; How to Get Away with Murder, Grey’s Anatomy, Criminal Minds. 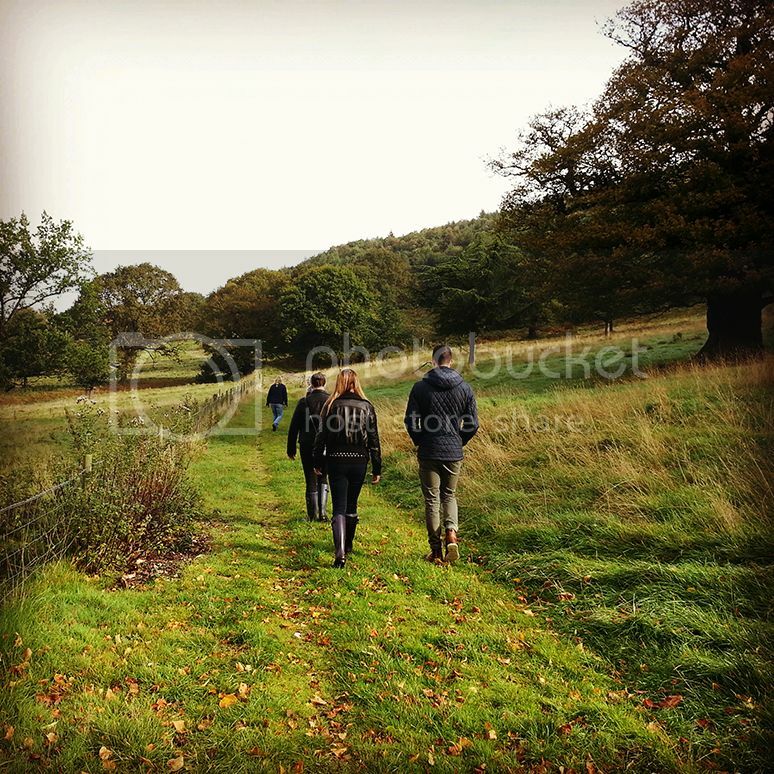 Wearing… Jumpers and boots. Warm pajamas and fluffy socks. Noticing… The colours of Autumn. The kindness (and rudeness) of strangers. Admiring… The poppies at the Tower of London and remembering the sacrifices made for us. Sorting… Out my life, my flat, my wardrobe. Life is all about the admin at the moment! Buying… Last minute Halloween things for a running costume. A few bits (this & this) in the ASOS sale. Two Christmas presents. Bookmarking… Design Love Fest – I’m loving their Dress Your Tech blog posts. I have the best looking desktop background right now. Hearing… Ed Sheeran’s latest album is on repeat right now. Also I heard my first Christmas song when I was out shopping the other day. Once again it’s turned to Autumn and I’m behind on my knitting. I do this every year, I have such big plans, and then suddenly it’s Autumn and that scarf or the pair of gloves are only complete in my mind, not in the actual physical sense. Despite this I am still buying wool. What is with that? I picked up four balls of wool the other weekend just because I liked the colour. Completely crazy as I have absolutely no idea what I am going to knit them into, nor a clue of when I’m actually going to start knitting when I do make up my mind. To help me on my decision-making way I’ve been pinning wooliness galore over on Pinterest. It’s an adiction, it can’t be helped. 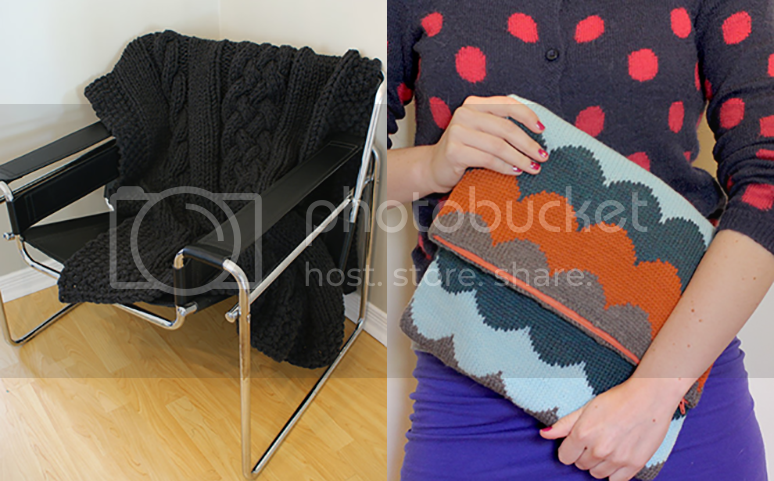 Anyway I thought I’d take the time to share a few creations that are on my knitting radar at the moment. Are these mittens not the most perfectly warm things you have ever seen? It bet my fingers would be awfully toasty in these. Plus the Scandinavian pattern just screams Christmas to me – I’m so obsessed I just can’t help it! As a self-confessed Potterhead (see this post) I have always wanted a proper scarf. So the fact that I found a pattern for a Hogwarts scarf? Totally exciting. I’m a proud Hufflepuff so I’ll be making mine in a yellow and black colourway, so that it looks more like the one above from the WB Studio Tour shop. I’m totally in love with the scalloped bag by Katie Canavan. It’s the perfect thing to protect a laptop or iPad. I’m still debating which collars to use, do I stick with these or try something different. A gradual change of one colour maybe? And finally how cosy does this super chunky blanket look? I actually want this wrapped around me right now please. You can buy the pattern from the shop here (ErinBlacksDesigns) and it’s only £3.49. A total bargain if you ask me. One day I want to be able to knit something so fabulous. This, Netflix and hot drinks – is what this blogger’s winter dreams are made of. Tell me what’s everyone else knitting at the moment? Any pieces I have to knit next? The above is something that I do on a regular basis when going about my day. Whether it’s when being bumped into on the tube, when in meetings with obnoxious and arrogant people or just browsing through my Twitter feed. People can be rude. People can be judgemental. People can be horrible. People can think that your business is their business. People can think that they are always right. And all of these things stress me out and make me angry. So angry that I could be rude, I could be judgemental and I could be horrible. 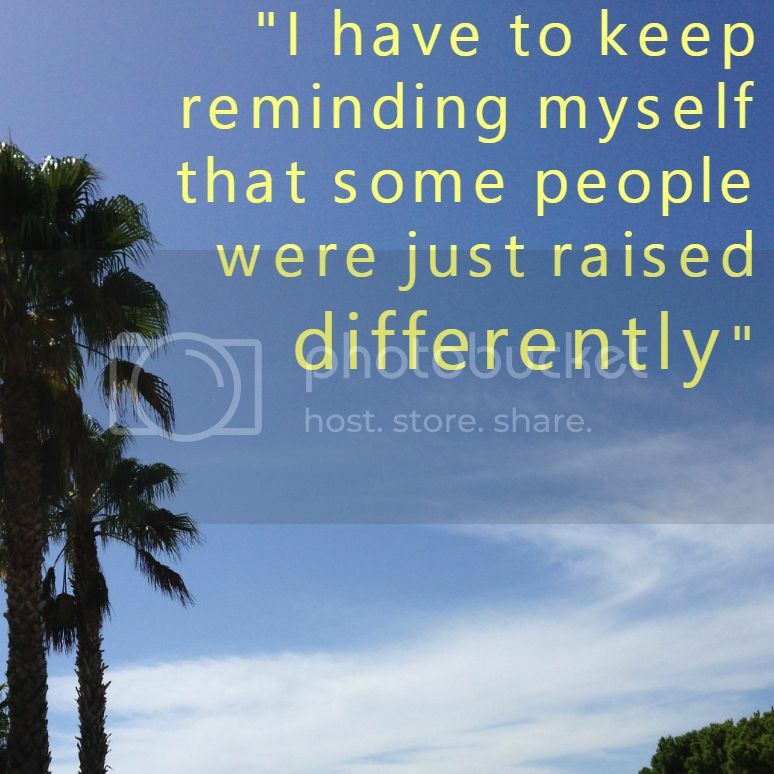 But I wasn’t raised to act that way, so I try to rise above these moments of stupidity. But to be honest sometimes it’s so damn hard and all I want to do is to snap at the horrid person, this person who thinks their needs/space/day is more important than mine. But I don’t. I try to remember that they aren’t me and they have different priorities and maybe they wouldn’t even care what I had to say. Maybe they don’t think they’re doing anything wrong. Saying something back won’t get me anywhere. So I rise above, like I was raised to do, and I hope that karma will kick in for both of us. What about you, how do you handle rude, angry, nasty people? 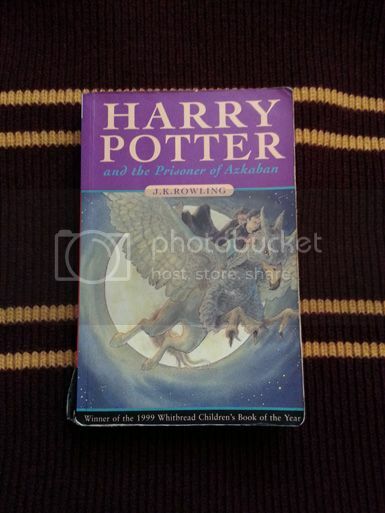 Harry Potter and the Prisoner of Azkaban. It’s always been this book and it always will be. I think it’s probably because we get introduced to some many important people in this book – Remus Lupin, Sirius Black, Peter Pettigrew. Deathly Hallows, both parts. I think the film version of book 7 was really well done. It’s just a fantastic way to end an epic series. Which book is your least favourite? 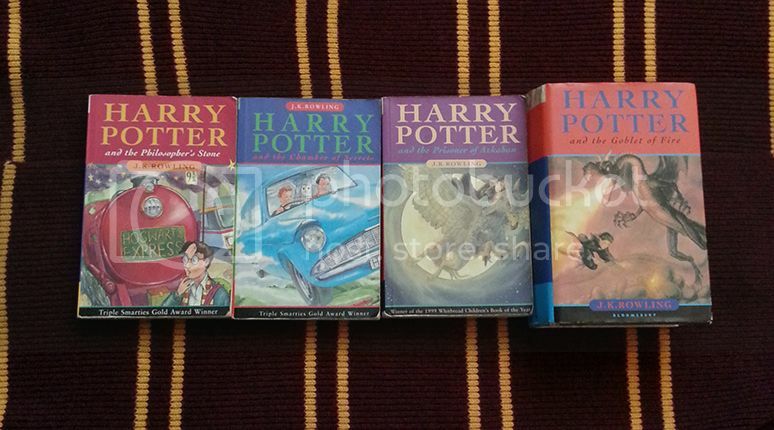 Harry Potter and the Chamber of Secrets. Although I now know how important this book is, I’m still not really a fan. Which film is your least favourite? Probably films one and two. They were just too safe, too magical and too Hollywood for the story they were telling. Which part of the books or films made you cry? Sirius falling through the veil. It’s so well done in the book, but the film? That’s a whole new level, the acting by Daniel Radcliffe and David Thewlis is unbelievable. When Harry trashes Dumbledore’s office. Hermione Granger. Smart, Loyal, Just, Brave. I want to be her when I grow up. Dolores Umbridge. I despise that woman. What is your favourite line? I’m a girl that loves quotes so this is an extremely tough question. Right now it’s the one below, but this will change again soon. Ooh good question, I always thing it should have some sort of meaning, but I’m not sure what mine would be. so I’m going to say some sort of bird. If you could have the Resurrection Stone, Invisibility Cloak or Elder Wand, which would you choose? Invisibility Cloak. I think that’s the less dangerous of them all. Plus the invisibility bit of it sounds fun! According to Pottermore I’m a Hufflepuff. Maggie Smith. I think she’s amazing, a living legend. I think a beater. I’m always very aware of everything that’s going on around me so I think it’s perfect. Plus it would be the perfect way to work off some rage! Yes, and no. I think every time you read a book you like to plan the ending – or at least I do. And that’s exactly how I was here, so yes there are things that I would change, but that’s not for me to do. This series is epic, it formed such a huge part of my childhood and it taught me so much. People who think this is just another kid’s book are so wrong. It’s so so much more than this. Has anyone else done this tag yet? Send me your links if you have as I’m always always happy to chat Potter. p.s. I borrowed Fi’s Gryffindor scarf for the background in these pictures. 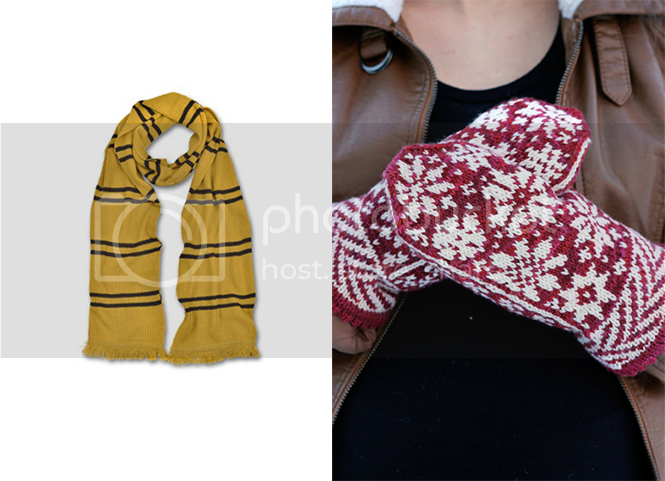 I’m planning to purchase a Hufflepuff scarf for myself when I next visit the Happy Potter studio tour(in November!). 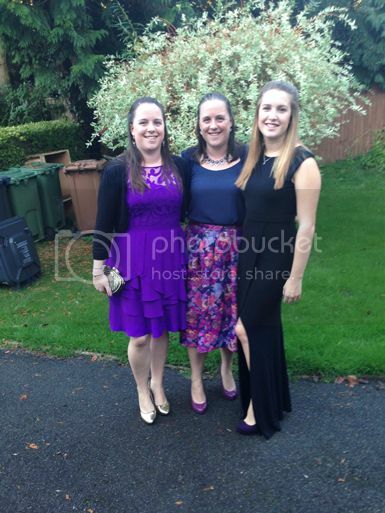 For the past three years the youngest Evans sibling has been studying in Sheffield. This means that every October the rest of the Evans family have made the trip up to visit for birthday adventures, because any birthday must involve family. It’s the law. At least in our family anyway! 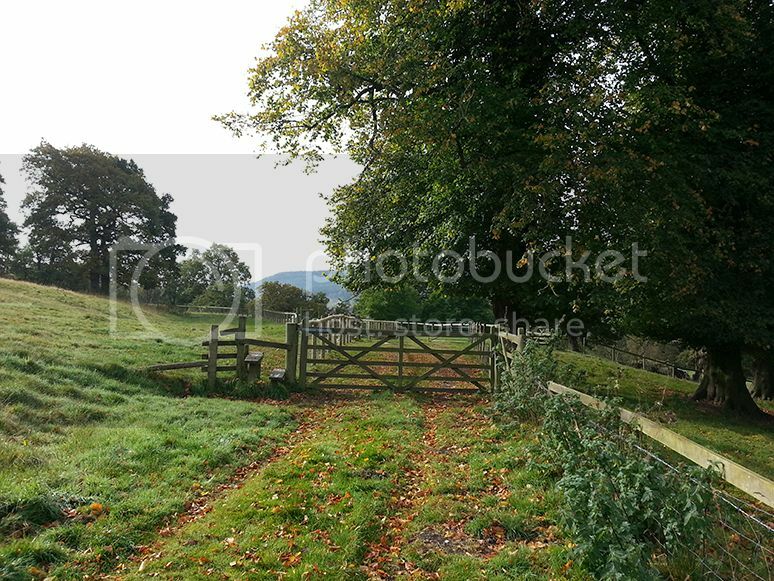 In previous years we have explored Sheffield and Bakewell so this time we opted to go a little further south and stay near Matlock. 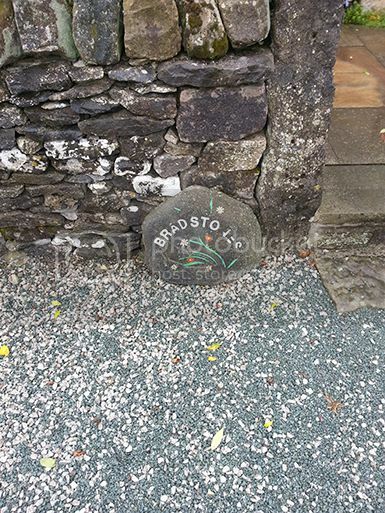 We found a holiday cottage in the middle of nowhere and we were set. There were no big plans for the weekend, it was a take it as it comes moment. The only thing we got slightly organised about was the presents and the Hummingbird Bakery cake – after all you’re only 21 once. The rest of the weekend involved long walks, bananagrams, champagne, a lovely dinner out, lie ins, cooked breakfast, walks around the reservoir, cake, arcade games, Chatsworth House, vintage furniture shops and road trips. 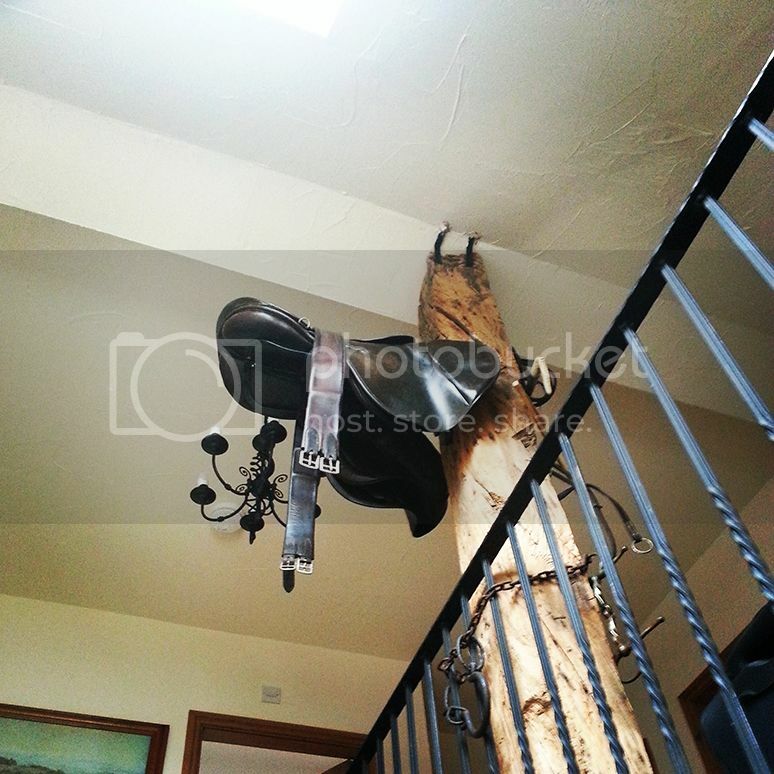 The awesome cottage decor included this saddle! Birthday celebrations are happening today. That cake needs to be in my tummy now. 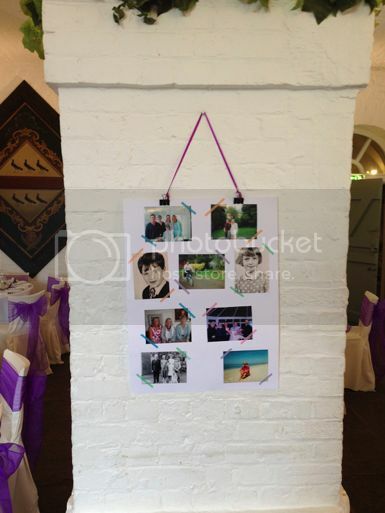 As we nattered about over here it was recently the parental units 60th birthday and they decided to celebrate in style with an amazing party at Clandon Park, a beautiful National Trust property. 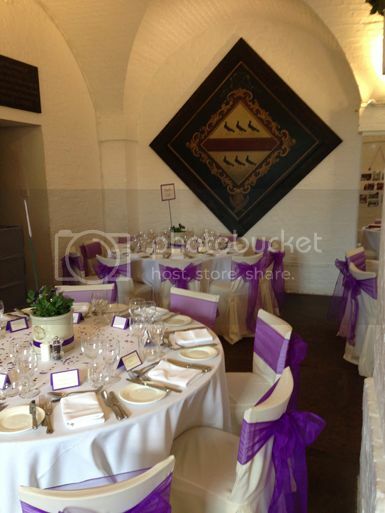 As you can see from the below they did a brilliant job organising the party, with lots of little details and personal touches, all within the purple theme – there were old pictures of everyone on the walls, beautiful planters filled with purple flowers and old school songs on the disco [there’s a chance I squealed when Ain’t No Mountain High Enough came on!] and a brilliant magician on hand to dazzle and amaze us all. It was truly brilliant to be surrounded by so many lovely friends and family as we munched on yummy food, made the parental units (well Mum) cry in our speech and danced the night away. We were pretty pleased with our outfits and both got lots of compliments, which is always nice (as did Becca – the tall skinny one next to us!). Also we were able to dance all night without being uncomfortable, a sign of a good outfit don’t you think? What about you, what would you wear for such an event? I’m just going to put it out there and say that this recipe for macaroni cheese is the best recipe you will ever find. I’m not even slightly kidding, this is PHENOMENALLY good and just perfect for the upcoming cooler evenings and lazy Sundays on the sofa (that’s not just me right?). Growing up we weren’t a big macaroni cheese family – in face I don’t think I really ate it. I had images of it being all gloopy and rubbery so just wasn’t really that fussed. The one experience related to macaroni cheese that I remember was when I was travelling. For an entire week in San Francisco those little pots of microwaveable mac ‘n’ cheese were all I ate. That sort of put me off, unsurprisingly. However a few years ago my Dad discovered a recipe for macaroni cheese that included mushrooms and artichoke hearts. Ever since that day we’ve never looked back. When the need for a comforting dish arises, this is the one. It’s the perfect dish for hangovers, lazy Sundays, evenings with friends or big dinner parties. Never underestimate the power of adding unusual items to a pasta bake to make people think you’ve made something extraordinary! So tell me, what are your best autumnal comfort foods? What must I try next? 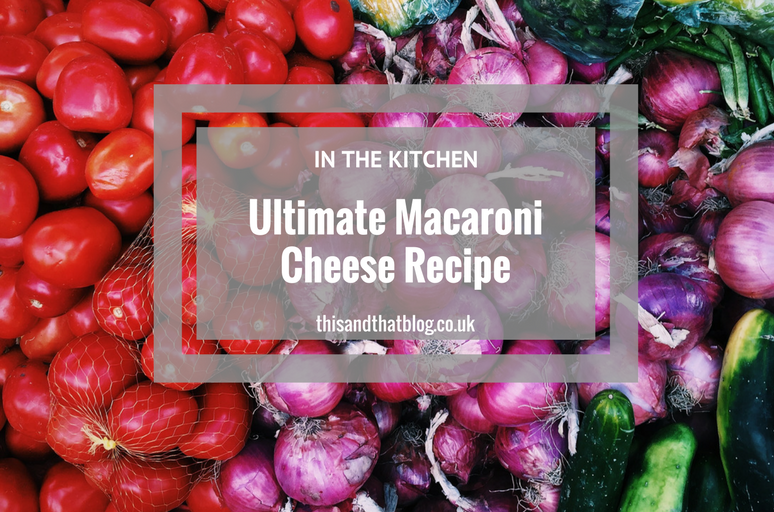 Also do you ever add extra things to your macaroni cheese – have I missed anything that tastes amazing? Please send me your combo suggestions!